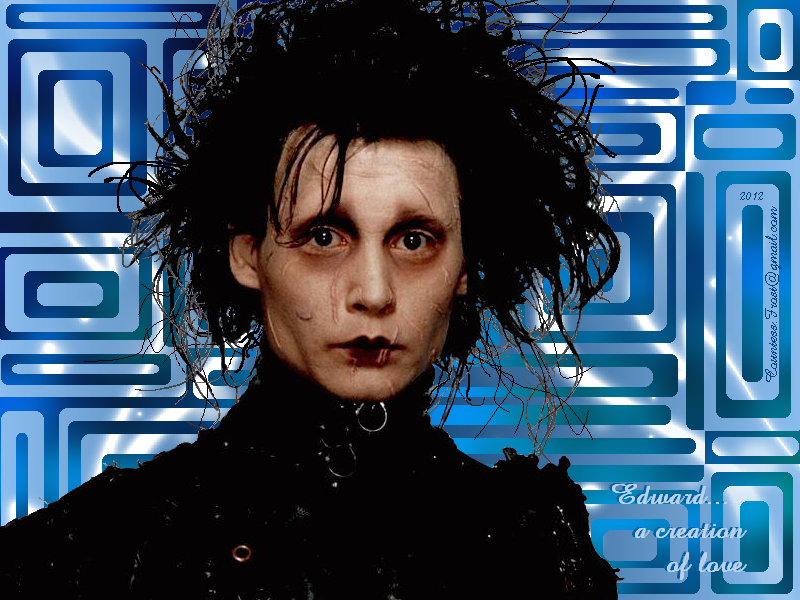 Edward... a creation of love. 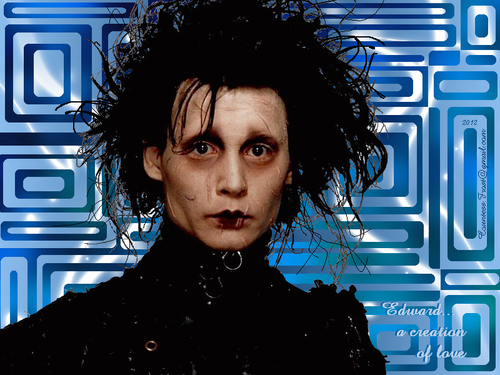 'Edward... a creation of love' - an Edward Scissorhands (Johnny Depp) wallpaper created by me. HD Wallpaper and background images in the Johnny Depp club tagged: johnny depp actor musician director edward scissorhands film fan art wallpaper thecountess. Since you create fan art to, I'm sure you can appreciate how much time it took to cut around all his hair -at least if you've just got a basic Paint program to work with. lol!